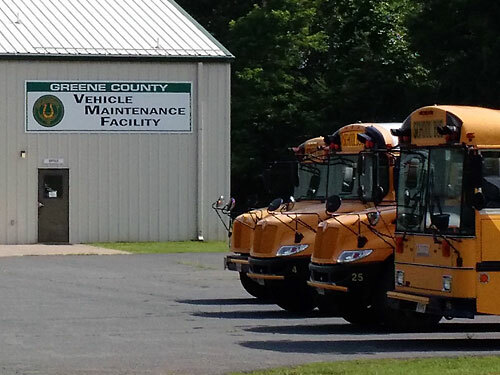 The vehicle maintenance facility for Greene County handles all maintenance repairs for the county and for the Greene County Schools. The department of Vehicle Maintenance is also in charge of the fuel and computerized gas pumps that supply the gas and diesel for all County Vehicles. The Vehicle Maintenance building just off of RT. 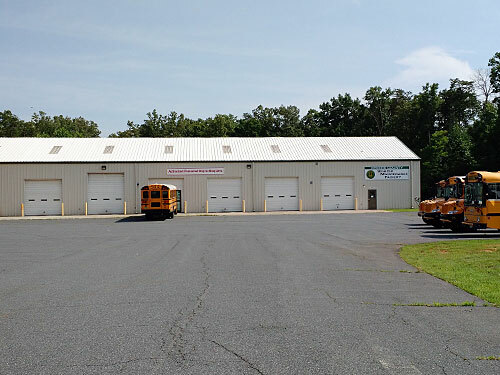 33 in the Spotswood Industrial Park, holds the Vehicle Maintenance offices, an auto parts warehouse, and a two-way, 7 bay garage that can service up to 14 vehicles at the same time.Under the supervision of Rick Morris, the technicians are experienced with the repair of all traditional and emerging engines and vehicle systems.